12:25 a.m., criminal mischief, 1000 block of Vine Avenue, Williamsport. 2:34 a.m., criminal mischief, 1000 block of Vine Avenue, Williamsport. 3:22 a.m., disturbance, 1000 block of Louisa Street, Williamsport. 7:00 a.m., disturbance, 400 block of South Broad Street, Jersey Shore. 9:08 a.m., theft, 1900 block of Lycoming Creek Road, Old Lycoming Township. 9:52 a.m., theft, 300 block of Wilson Street, Jersey Shore. 11:09 a.m., criminal mischief, 100 block of New Street, Muncy Township. 11:46 a.m., disturbance, 1900 block of East Third Street, Loyalsock Township. 12:37 p.m., disturbance, 2200 block of West Fourth Street, Williamsport. 3:00 p.m., hit and run, 300 block of Mifflin Place, Williamsport. 3:12 p.m., fight, 700 block of West Third Street, Williamsport. 3:33 p.m., hit and run, 10 block of West Church Street, Williamsport. 4:03 p.m., criminal mischief, 80 block of Peterman Lane, Wolf Township. 4:05 p.m., theft, 1000 block of Vine Avenue, Williamsport. 4:51 p.m., harassment, 600 block of Wilson Street, Williamsport. 5:15 p.m., theft, 800 block of Race Street, Williamsport. 5:58 p.m., theft, 1800 block of Kenyon Avenue, Lycoming Township. 6:47 p.m., reckless/intoxicated driver, 100 block of South Hepburn Alley, Jersey Shore. 7:13 p.m., disorderly conduct, corner of Almond and Meade streets, Williamsport. 7:19 p.m., disturbance, 700 block of West Third Street, Williamsport. 8:18 p.m., hit and run, 300 block of Louisa Street, Williamsport. 9:16 p.m., disturbance, 700 block of West Fourth Street, Williamsport. 9:33 p.m., theft, 200 block of West Penn Street, Muncy Township. 9:57 p.m., disorderly conduct, 1300 block of West Fourth Street, Williamsport. 10:40 p.m., trespasser, 700 block of Fairmont Avenue, South Williamsport. 11:12 p.m., reckless/intoxicated driver, 15400 block of Route 180, Muncy Township. 11:36 p.m., disturbance, 700 block of High Street, Williamsport. 12:49 a.m., trespasser, 600 block of North Arch Street, Montoursville. 1:41 a.m., disturbance, 70 block of South Second Street, Hughesville. 2:10 a.m., harassment by communications, 20 block of South Montour Street, Montoursville. 4:32 a.m., disturbance, 1200 block of West Fourth Street, Williamsport. 4:48 p.m., disturbance, 400 block of Wyoming Street, Williamsport. 5:09 p.m., disturbance, 400 block of Wyoming Street, Williamsport. 9:47 a.m., theft, 700 block of Moore Avenue, Williamsport. 10:44 a.m., theft, 100 block of Carpenter Street, Muncy. 1:38 p.m., hit and run, 1900 block of East Third Street, Loyalsock Township. 2:11 p.m., harassment by communications, 1200 block of Memorial Avenue, Williamsport. 2:19 p.m., shoplifter, 200 block of William Street, Williamsport. 4:31 p.m., disturbance, 1300 block of West Fourth Street, Williamsport. 5:51 p.m., disturbance, 400 block of Center Street, Williamsport. 7:13 p.m., disturbance, 700 block of West Fourth Street, Williamsport. 7:20 p.m., disturbance, 2000 block of Bluejay Alley, South Williamsport. 7:34 p.m., fight, 100 block of Shaffer Street, DuBoistown. 7:55 p.m., hit and run, 2800 block of Cochran Avenue, Duboistown. 11:10 p.m., reckless/intoxicated driver, 21200 block of Interstate 180, Montoursville. 11:16 p.m., fight, 300 block of Broad Street, Montoursville. 12:38 a.m., disturbance, 700 block of West Third Street, Williamsport. 2:07 a.m., fight, 200 block of West Fourth Street, Williamsport. 2:37 a.m., disturbance, 200 block of West Fourth Street, Williamsport. 2:47 a.m., trespasser, 1000 block of West Third Street, Williamsport. 10:25 a.m., ciminal mischief, 2100 block of Linn Street, Williamsport. 12:35 p.m., theft, block of East Central Avenue, South Williamsport. 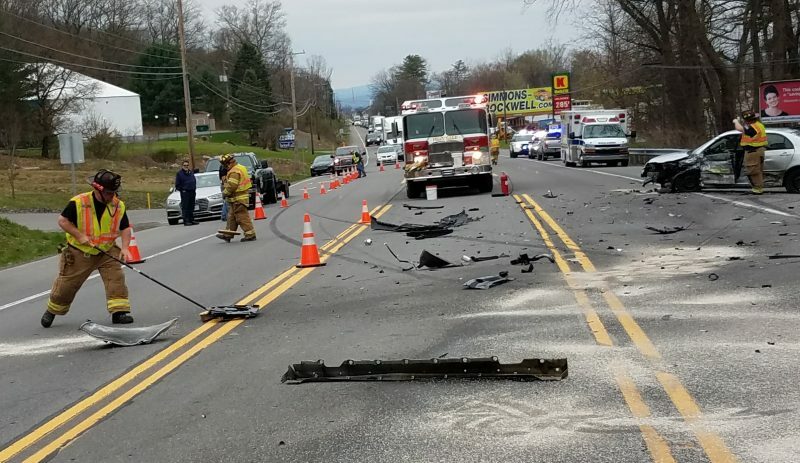 2:30 p.m., hit and run, 800 block of Tucker Street, Williamsport. 2:35 p.m., fight, 100 block of Stadium Drive, South Williamsport. 6:50 p.m., reckless/intoxicated driver, 2800 block of South Route 44, Nippenose Township. 7:02 p.m., harassment, 600 block of Wilson Street, Williamsport. 7:53 p.m., harassment, 1200 block of Allegheny Street, Jersey Shore. 9:00 p.m., hit and run, 2500 block of Federal Avenue, Williamsport. 9:38 p.m., disturbance, corner of Campbell and High streets, Williamsport. 10:20 p.m., trespasser, 700 block of West Fourth Street, Williamsport. 11:19 p.m., fight, 600 block of Lycoming Street, Williamsport.